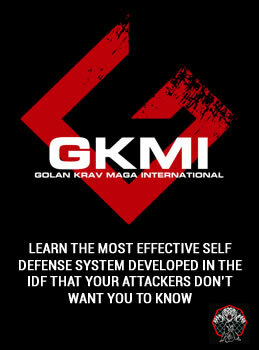 Krav Maga, originally developed for the Isreali Defence Force, is an unarmed, close contact fighting system. This protection system has been tested on the battlefield, as well as the streets, and is now the preferred combat system of the U.S Military. Krav Maga consists of quick counter attacks and brutal offensive techniques and is the ideal system for unexpected and dangerous violent attacks. 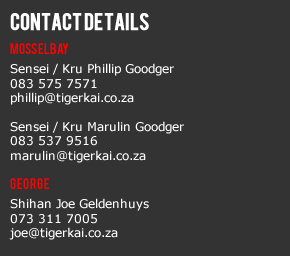 You will learn how to evaluate a situation, the threat level and how to respond appropriately. Training is designed for, and trained in simulated real life situations, so that if you find yourself in a life threatening situation, you can react without hesitation. 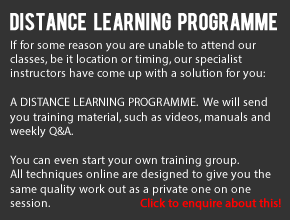 Students will learn how to take out, or neutralise an attacker as quickly and simply as possible while minimising the risk of injury to one’s self and family.